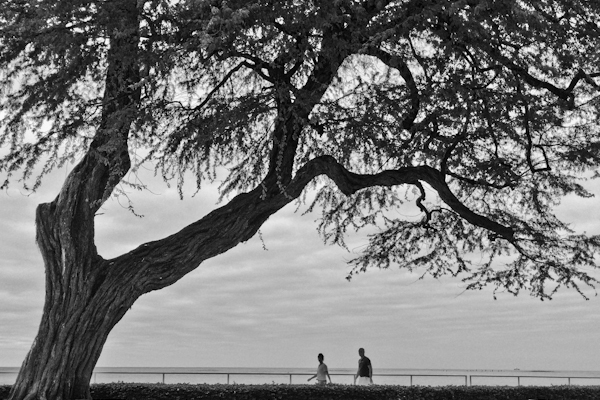 Every tree seems to have a story to tell in Hawaii. Looking at their windswept shapes, one wonders what tales would be told if these leaves could talk. Some trees were familiar to a mainlander like me. Others were exotic and ancient-looking. This gentle giant framed a section of the Waikiki boardwalk and seemed to beckon walkers just beneath its grasp. Albeit somewhat askew, its massive, grooved trunk contrasted with its delicate, lacy leaves. From its culture to all its natural characteristics, Hawaii welcomes the explorer in all of us. Where you stay can make or break a vacation. Take a look at the stayovers we'd do over. Get tips for capturing your best travel moments. Sometimes it just takes one shot to show you what makes a place special. This collection captures the mood and feel of a destination in a single snapshot. Off the road, home sweet home grounds me. Join me as I dish about cooking, home life and my hometown of Tulsa, Oklahoma.